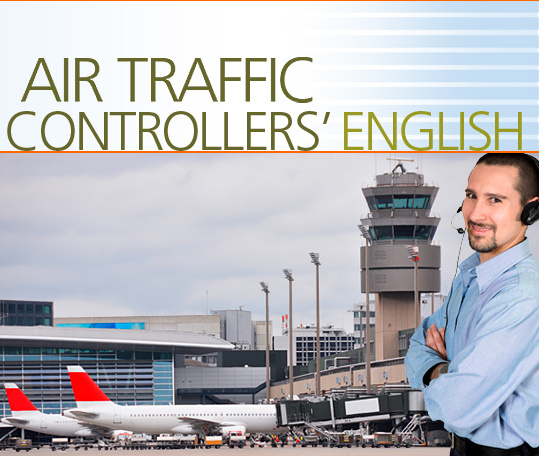 Air Traffic Controllers, including Tower Controllers, Area Controllers, Approach Radar and Non-Radar Controllers, are responsible for the monitoring and control of all air traffic, ensuring their safe arrival and departure. Students learn how to communicate effectively and efficiently with pilots and colleagues by checking, confirming and clarifying information. They learn the approved language needed to direct planes while they are on the runway, and to provide clearance for take-offs and landings. They learn the terminology of weather reports and runway conditions, and the vocabulary and phraseology of flight plans and incident reports, as well as learning how to communicate during emergencies. They learn to talk about navigational aids and the impact of changing weather conditions. Students also practice introducing themselves and discussing their work experience, education, training and qualifications.